Vinyl is easy to remove and fairly cheap. I used vinyl to black out the window trim on my Acura TSX a long time ago. The downside is that it’s excruciatingly hard to install – tales around the internet (as well as my personal experience) indicate it takes about four hours of meticulously stretching, cutting, shaping, etc. Even after the 4 hours of tedious vinyl application, you’re bound to have some imperfections, bubbles, and edges where the vinyl had to be cut. To me, vinyl can be a good option but it’s just a lot of labor and will never come out perfect unless a professional does it – and if you’re going to go through the expense of a professional, I think there are better options for the money. Plasti-dip is another option – the pros are much like vinyl in that you can DIY it, it’s removable, and it’s pretty cheap. Another advantage over vinyl is that there are no edges to cut or bubbling to worry about, as it sprays on smooth. The downside is durability – the chrome window trim isn’t very sticky for the plasti-dip, so it’s fairly easy to peel off – almost too easy, as I’ve seen several reports of it peeling off accidentally after a few washes or several months of wear-and-tear. It’s a good temporary solution, but you may find yourself reapplying & touching up quite often depending on how thick you put it on and how often you wash your car. I wash my car weekly, so I didn’t think this would be a good option for me. This is a totally viable option, except that new window trim cost about $880 plus installation. 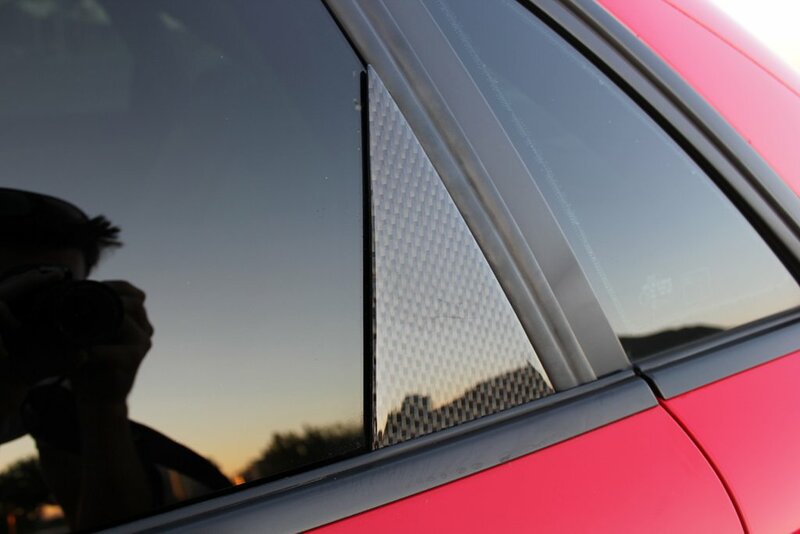 The primary reason for this is that you have to replace the rear triangle shaped window, as the only way to remove the trim is to break that window. If you want to do it 100% OEM this is your only option, but it’s an absurdly expensive one that may not be the best use of your money in my humble opinion. I ultimately went with paint here. I have a body shop I trust (thanks Phoenix Collision & Custom Paint) and that charges reasonable prices. And nearly six months later, the finish is still flawless. They chose a semi-gloss black to match my grilles and wheels, and it looks 100% OEM. There are no bubbles, edges, or other problems like vinyl. It’s withstood heat, washing, dirt, etc. with no problems unlike Plasti-dip. The downside is cost – I think I paid about $400 for this, but to me that was well worth it. The trim didn’t have to be removed to paint (they simply masked the car off and painted while installed, so no replacing glass or spending hours disassembling the car. It’s still far less than half the cost of replacing the window trim with OEM titanium trim, plus I could choose a matte or semi-gloss finish instead of the gloss finish of the titanium package. It’s holding up well and looking great, so that’s the method I advocate. Beautiful car. I have a 2002 a4 and I have the black trim from the factory on mine but it seems like the material is breaking down. When I run my finger over it I just get a bunch of black residue on my finger. Do you think I can just plasdi dip over it? I had a body shop do that, as it was a pretty involved procedure…it took them a few hours IIRC and was not very straightforward. I have debated vinyl wrapping that trim on the rear doors. Think that is inadvisable? I am also going to wrap my sideview mirrors so i think it would pull it together some. Nothing wrong with vinyl! Great solution here, just a bit of a pain to apply. 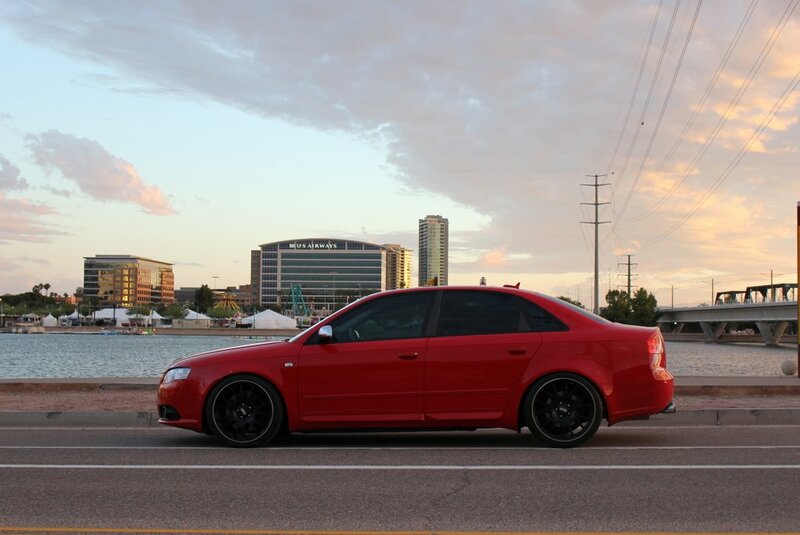 I have contacted multiple shops in my area about painting the window trim on my rs4, but they all tell me it is impossible to do. I have tried to tell them all that it has been done before, but they insist the paint will not stick to the trim. Is there something else I should tell them? Many body shops hate doing anything but insurance jobs, so you’ll want to look for a place that specializes in custom work and aftermarket work – they’ll be more likely to try for your business – the average body shop doesn’t want to speak to you unless you’ve got a $3k+ repair bill and it’s being paid by insurance up front, in-full…just the nature of the business. Hey Nick, nice mod! Do you have any info or knowledge on removing the window (belt) trim on the A4…looked and looked but haven’t been able to locate anything other than “remove the the rivets from the inside of the door”… No info on how to remove them… Some say they have to be drilled out….just wondering if you have any knowledge of this process…..FYI…I am replacing door skins after being side swiped and replacement door skins did not come with this trim so I am attempting to remove from old door and replace on new door….any info would be appreciated. Sorry DP, no info there – I’ve heard it is very difficult and that the rear quarter window almost needs to be broken to remove it, so I believe it is pretty difficult. Yup, that’s what I keep finding as well. Thanks anyway. Hello, I dented my silver trim on the top of my AUDI A6 2008. Do you have an idea how much that would cost to have it repaired? 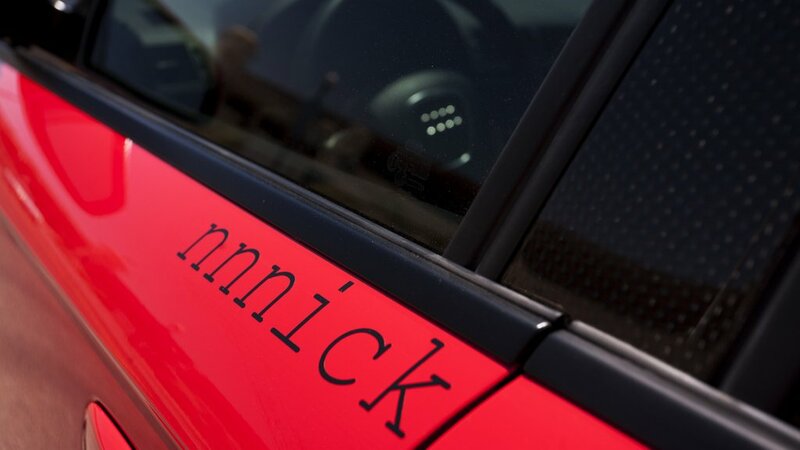 Hey Nick, big fan of the site and love what you’ve done with the car. I have a B7 A4 Avant and I’m looking to black out the grille, window trim and roof rails. I also live in a place that gets pretty heavy snow sometimes. How is the paint holding up these days? Any problems with peeling? Do you think I’d run into problems in the winter? My trim is doing fine – I have one spot that lost a little paint due to a run-in with a buffer, but otherwise fine. No winter experience here but the 120 degree Arizona winters weren’t easy on it either (I parked in a car port at the time) and now I get a lot of ocean breeze and salt water in CA but doing just fine. If you get a professional to do it, the window trim should be fine. The grille is harder just from high speed driving and rock chips, the OEM finish is actually really durable if you can just find one that came with a black grill stock. Nick My titanium trim around the drivers door was vandalized and bent. I found a replacement for $40 but I have no idea how to change it. Is there a video you can recommend? I don’t know, I’ve heard it’s really hard though. Nick, I’m looking at a 2014 Audi S5 in moonlight blue. I prefer black, but I can get the blue quite a bit cheaper with less miles. Do you have any suggestions rim color. I hate chrome and silver. I was thinking someth like gunmetal. Window trim and grill would be blacked out. Black on black looks way tougher, but I can save a ton of money if I go with the moonlight blue, but I want it to look tough. Suggestions ?